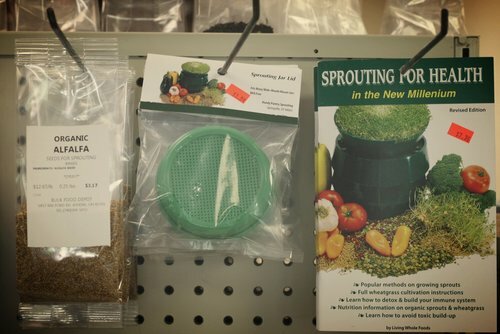 We offer much more than just bulk food. 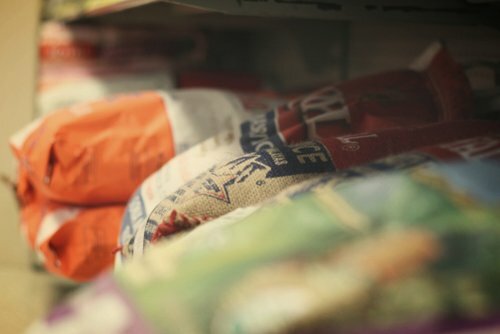 We offer “Healthy Food” in the form of whole grains and seeds, beans and rice and just about any herb or spice you might want. 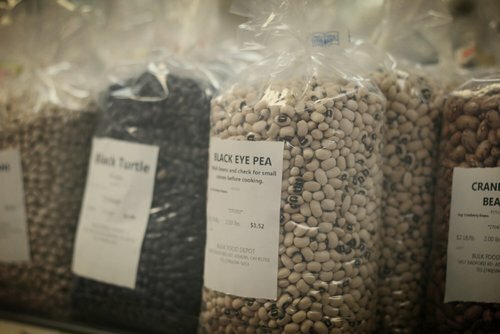 Shopping in bulk locally supports local businesses and helps reduce waste. When you buy from your local bulk food store you contribute to boost the local economy of your community. We buy in bulk from different distributors who do not use fancy packaging, this makes transportation more cost effective for everyone. For hygienic reasons we repackage most of the products in simple packages. REDUCE WASTE – We try to reduce waste when possible, we take your egg cartons back as well as the empty and cleaned nut butter jars. Our egg lady takes care of the cartons and we re-sell the jars at cost. You can bring your own jar for the local honey and for balsamic vinegar. We do not use plastic shopping bags anymore, however we have brown paper bags and boxes from our products. If you want to contribute more, we encourage you to bring your own shopping bags. LOCAL – We carry local raw honey, free range farm eggs, local cheese, local salsa and our own freshly ground nut butters. ORGANIC – We carry a variety of organic products such as flours, rice, beans and condiments. 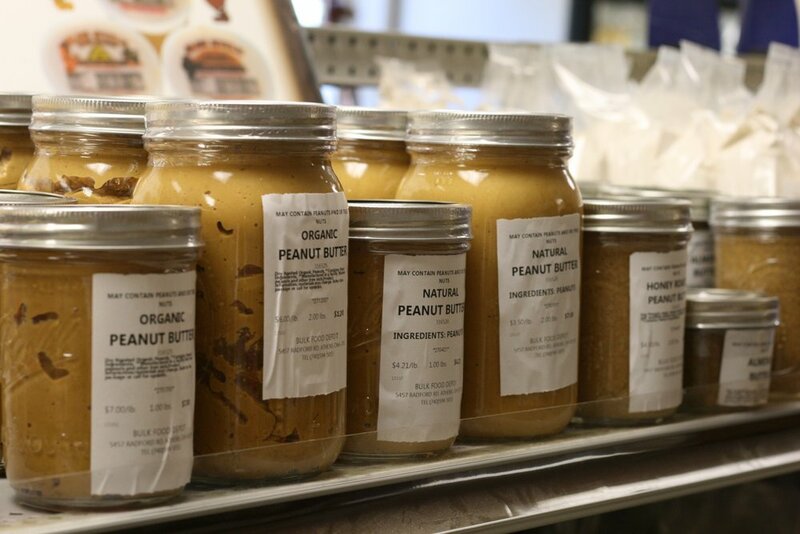 We make our own nut butters, fresh on premisses. We carry local raw honey. We encourage you to bring your own jar. We carry over 100 different spices and seasonings. We do not try to play doctor. We do not offer herbal remedies or dietary supplements. We believe that a balanced diet of fresh vegetables, whole grains, whole grain rice, and beans, with a minimum of animal food products will provide a healthy, feel good life style.